There’s a special place in SoHo that’s not quite like any other I’ve visited in the city. It even feels a little bit magical. 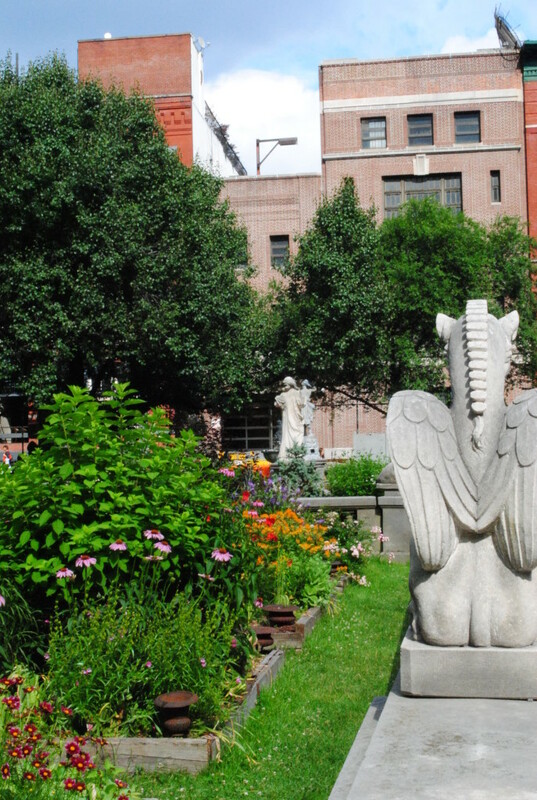 I’d walked by the Elizabeth Street Garden before and wondered what it was, but I’d never been inside till this spring, when a friend suggested an outing. 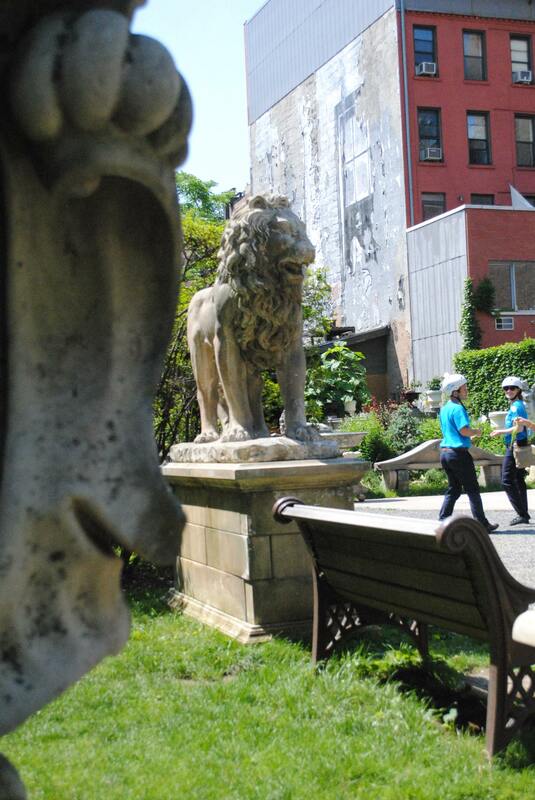 It was a perfect day to be outside in NYC, and there aren’t that many green spaces in SoHo. 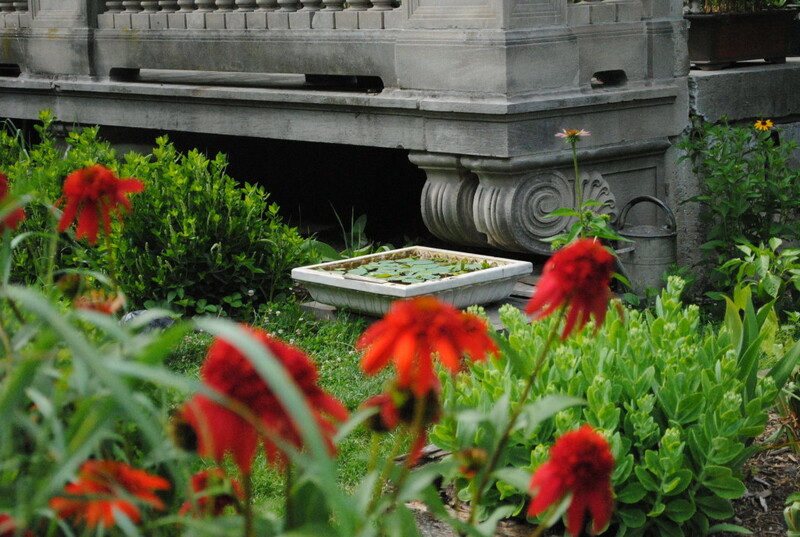 That alone makes the Elizabeth Street Garden special – but there’s more to it than that! 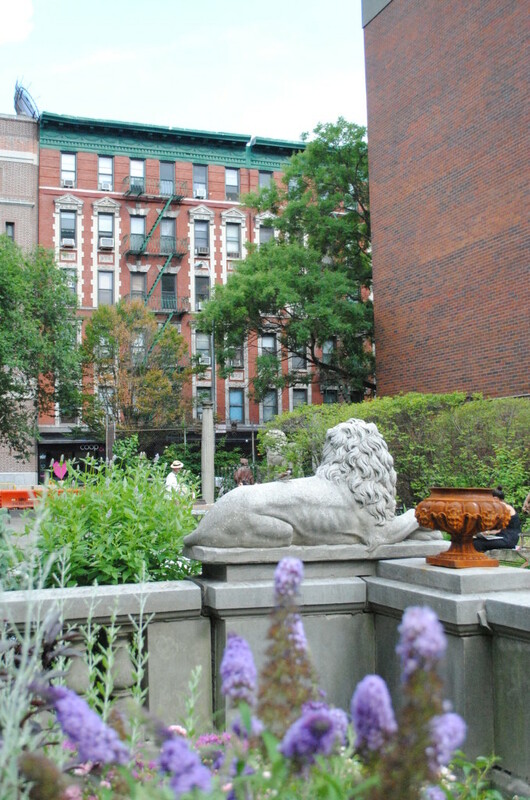 The garden is on NYC land and has been leased by its neighbor, the Elizabeth Street Gallery, since 1991. 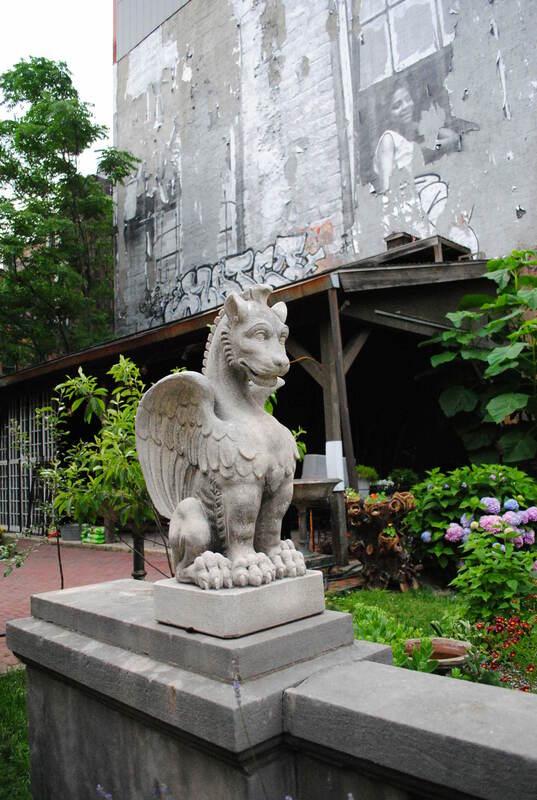 When the gallery first leased it, the space was a mess, but over the years the gallery turned it into a lovely space where it showcases its sculptures. 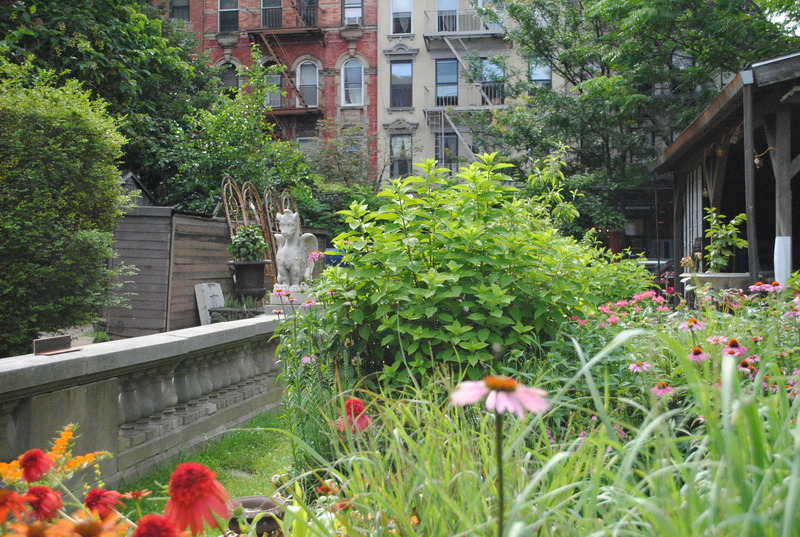 Back in 2013, community members in the neighborhood came together to make the garden more accessible to the public, and now this gorgeous green space is open (when volunteers are available) Wednesday through Sunday year-round. The hope is that ultimately the space will be turned over to the NYC parks department and managed the same way other NYC parks are. In the meantime, though, the garden is totally dependent on volunteers – and I’m officially one of them! I went for a quick, painless training last month and finally had time last Friday afternoon to volunteer. 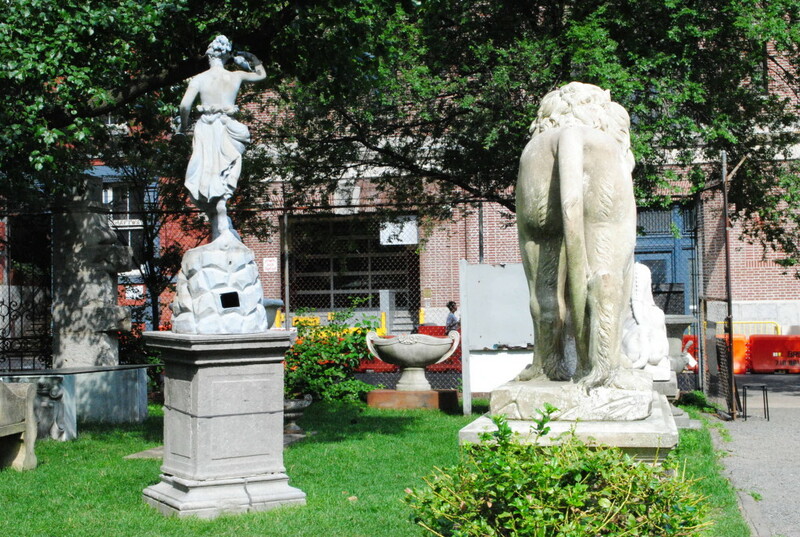 Volunteering mostly means sitting at a table in the garden to answer any questions and to make sure that visitors adhere to rules like no littering, no smoking, and no sitting on the statues. It gets a little more complicated if you’re the first or last volunteer of the day (which I wasn’t, thank goodness!) but it’s a gorgeous way to spend an hour. I had a lovely time chatting with people who stopped to say hello. Some visitors lived in the neighborhood, while others were from out of town and had stumbled upon the garden. I had a short conversation with one of the volunteers who does some of the gardening. He showed off this gorgeous lotus plant floating in a shallow basin of water, which has a few goldfish swimming under it to help keep the lotus healthy and happy. When I was done volunteering, I couldn’t resist taking a walk around the garden to shoot all these photos. It was such a beautiful day! 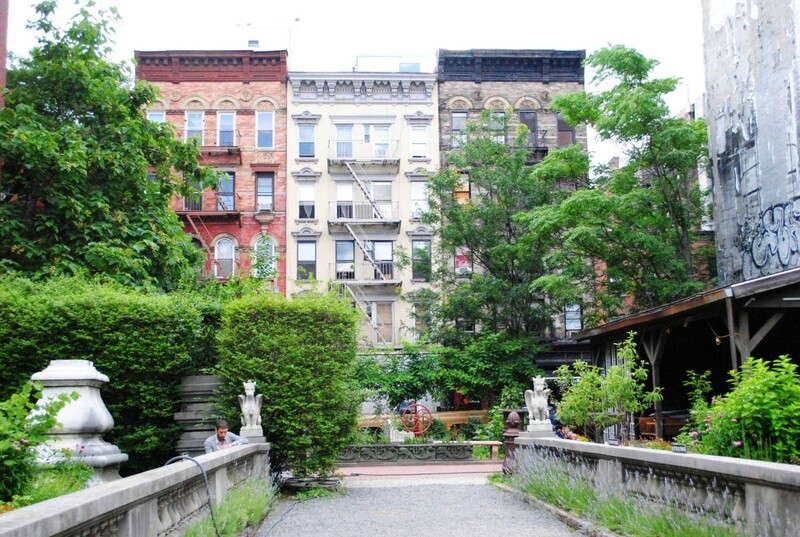 If you’re ever in SoHo and looking for a little quiet and space, check out the Elizabeth Street Garden! And if you live or work in the neighborhood, consider becoming a volunteer! It’s totally easy and definitely worth it! 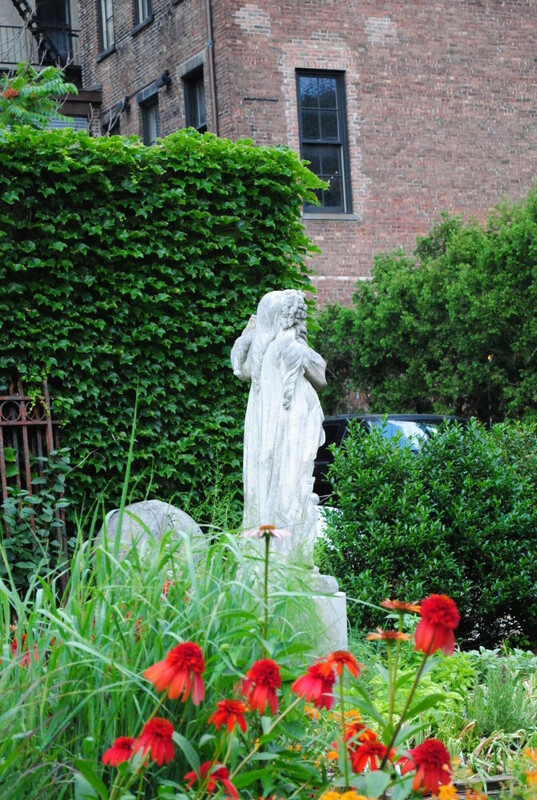 Have you ever made a visit to the Elizabeth Street Garden? What other quirky NYC green spaces do you love? 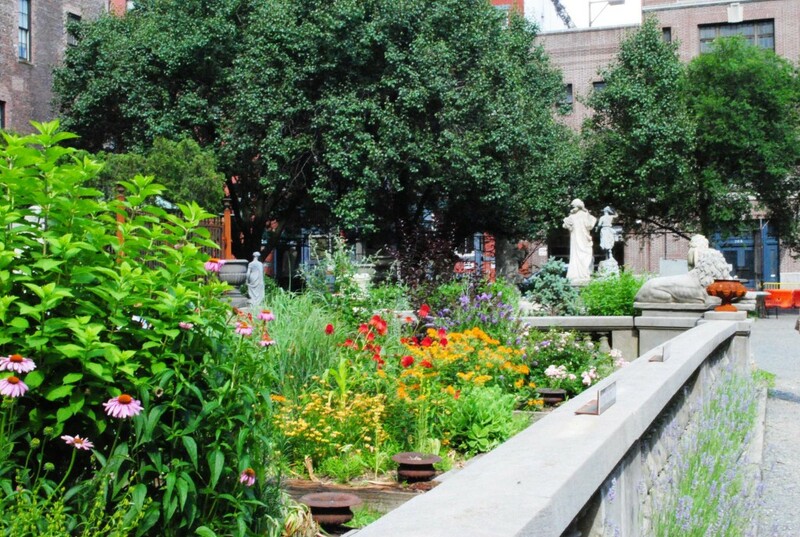 The Elizabeth Street Garden is located on Elizabeth Street between Prince Street and Spring Street and is (weather permitting and when volunteers are available!) open from 10 AM to 6 PM on weekends, 11 AM to 6 PM on Wednesdays, and 12 PM to 6 PM on Thursdays and Fridays.